If you’re in your twenties, you know that every year for the last five years has been “the year of the weddings.” The movie 27 Dresses has really taken on a deeper meaning for you, thanks to the number of wedding invitations on your fridge and retired bridesmaid dresses in your already overstuffed closet. I’ve lost count of how many weddings I’ve been to in the last few years. Farm weddings, church weddings, plantation weddings, outdoor weddings, beach weddings, golf club weddings…you name it. I think we have 6 or 7 (including our own wedding) this year alone. There are few things that bring me greater joy than getting to see my friends find love and decide to love that person for the rest of their lives. I love marriage and I love love, so weddings are my kind of thing. I’ve also had the privilege of being a bridesmaid to several friends as they’ve said their vows. I’ve helped bustle gowns (I can find those tiny buttons on any gown, any day), hold bouquets, dry up happy tears, pep talk, throw showers, direct picture time and wedding dress shop. And then when I got married, I somehow lucked out with the world’s greatest maid of honor (my sister) and bridesmaids. Seriously, these girls were lifesavers during wedding season and on the big day. Photo by Trevor + Allison Photography. All of this is to say that I’ve learned a thing or two about what it means to be a bridesmaid and ways to help make your friend’s wedding season as stress free as possible. Without further ado, here’s a list I’ve created after talking with a few friends who have been brides and bridesmaids. Before we get to the fun stuff, I have to get through two slightly awkward and long winded points about being a bridesmaid. When the bride asks you to be in her wedding (probably via a cute gift box, basket or watercolor card from Etsy), really consider what’s going on in your life during the bride’s engagement season. Are you going to be available? Will you be out of the country for some reason? Are you even free on the wedding day? This sounds crazy, but you have to figure this out before you say, “Yes, I’ll be your bridesmaid!” Honestly, to the bride, she’d rather know up front if you can’t be part of the wedding or if you won’t be available to help very much. Just be honest. Don’t be afraid to say no if you really feel like it’s too much for you at this time. If they’re really your friend, they’ll forgive you. Consider finances. 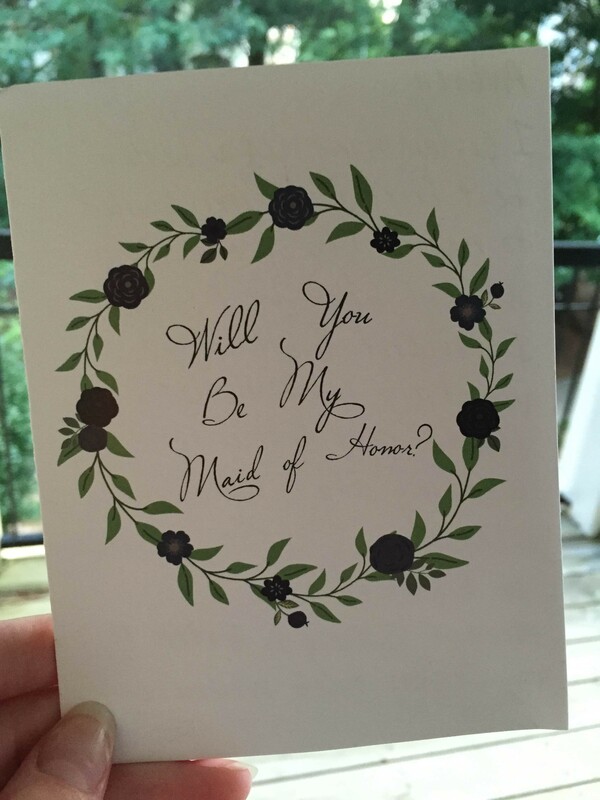 For the love of everyone involved in the wedding party, pleeeease figure out from the get-go if you are in a financial place to be a bridesmaid. 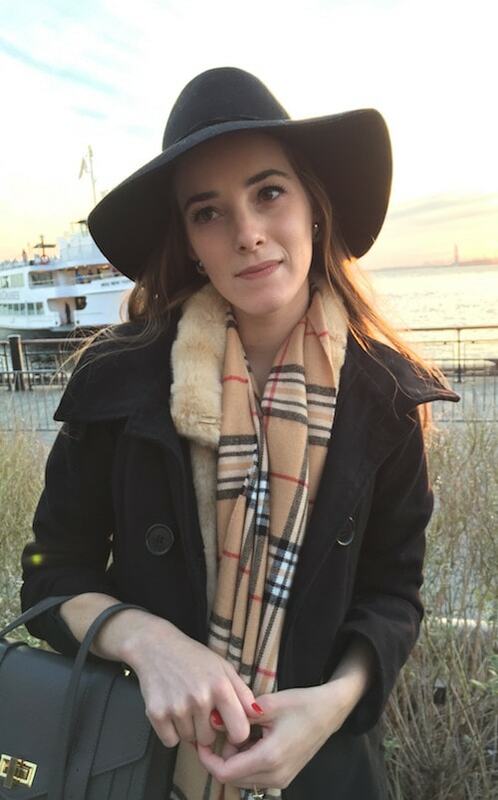 We’ve all been there, the post-college financial situation is no fun and the last thing you need is someone telling you that you must buy a $400 bridesmaid dress and $200 shoes. Ask the bride how much she’s looking for you to spend on the bridesmaid dress, shoes and other accessories. Consider the fact that you may be asked to contribute to a group gift or help with a bridal shower. Again, this sounds crazy, but be honest and up front. It’s not fair for just one or two bridesmaids to be stuck footing the bill for all of the wedding events. I’ve been in about 6 or 7 weddings and I would guess I always spend at least $200 on attire, plus travel expenses, bachelorette expenses, shower expenses and gifts. You could easily spend over $500. If you’re in a tough spot, most brides are happy to help with finances because they love you and want you to be part of their wedding party. Okay, now that you’ve said yes to being a bridesmaid and gotten all the not so fun stuff sorted out, it’s time for the fun part. Ask the bride if she would like help with anything. Don’t just offer to help one time, but text her or call her often to offer your assistance and really mean it when you offer to help. Maybe you can help by looking for your bridesmaid dresses and other accessories. There are so many projects, crafts and other things to do when getting ready for a wedding. So for my bridesmaids’ dresses, I had my maid of honor help me choose those. It was great having her help, because so much is put on the bride while planning. It’s nice to have someone else to help make decisions, no matter how big or small. We both tried the dress on in person before choosing it. We knew we wanted a style that looked good on everyone and was easy enough to wear. 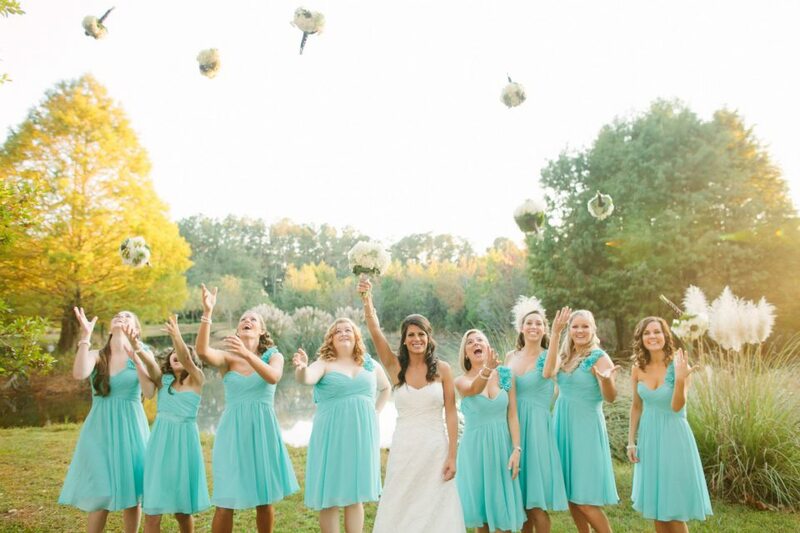 Go ahead and make friends with the other bridesmaids (if you aren’t friends already). Start a group text, Facebook group or whatever way you want to communicate. But, the key here is to communicate and find ways to help the bride. This is really important if you all live in different cities and won’t get to see each other much in person. Being in a wedding is always more fun if you get to know each other beforehand. While we’re on this note, please try to sort out any bridesmaid drama or issues amongst each other before bringing it to the bride. The bride doesn’t need any added stress. This was from a wedding in November of 2012 and it took quite a while for any wedding to match the fun factor of this one. 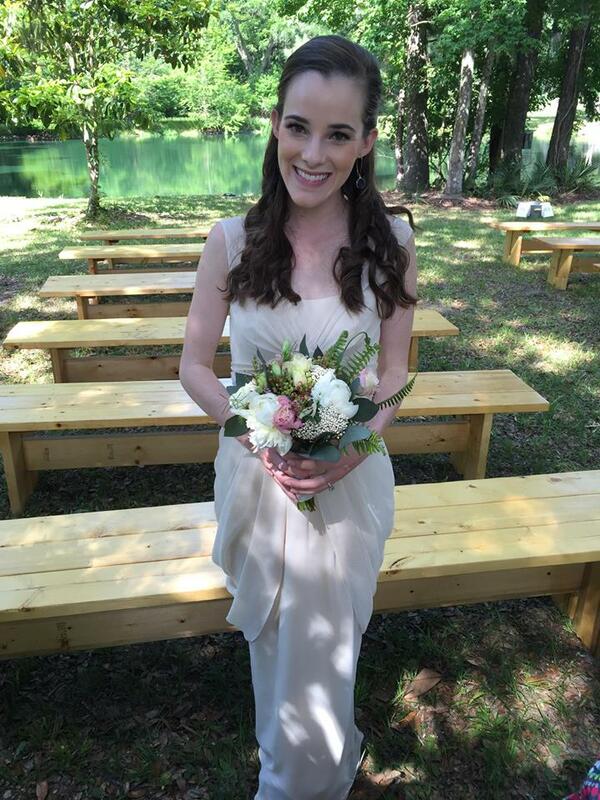 I just had a darn good time being a bridesmaid. Photo by KT Crabb Photography. On that note, offer to help with the maid of honor’s duties. I’ve been the maid of honor and it’s incredibly rewarding and fun, but it also comes with some extra work. Offer to help with figuring out the group gift or planning the parties that precede a wedding. Usually, bridesmaids help with the bridal shower and bachelorette party plans. This was a really adorable and colorful citrus themed bridal shower that I was in charge of hosting earlier this year. If you’re the maid of honor and in charge of a shower, my best advice would be to delegate and ask for help. You have to, or you’ll go crazy. Ask for all wedding party dates, which could include bridal showers, bachelorette party, engagement parties, rehearsal dinner and especially the wedding day date. Go ahead and put these in your calendar so you don’t have to be the person who asks the same question a million times (it’s okay, we’ve all been there haha). 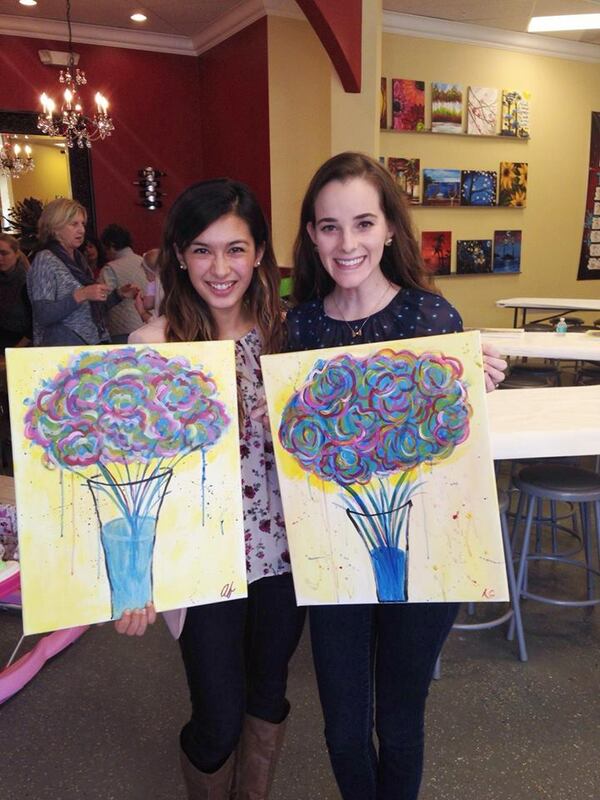 There are all kinds of cute ways to celebrate the wedding, like doing a painting class with the bride, bridesmaids and any other women involved with wedding planning. 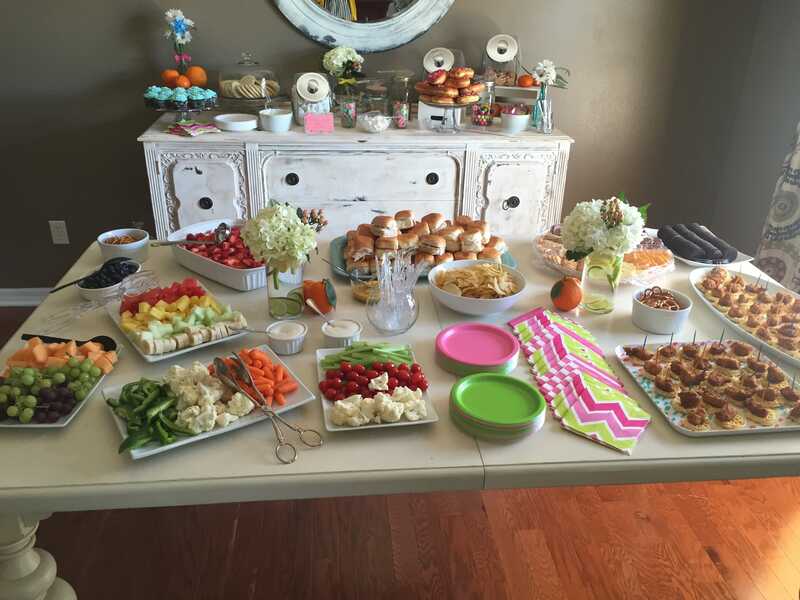 We did this for my wedding and actually turned it into the bridesmaids’ luncheon. Also, check out my friend Amanda’s blog. And yes, that painting is hanging in my house, duh! Here are some great joint bridesmaid gift ideas for the bride: a large item from the bride’s gift registry like the classic KitchenAid Mixer, a necklace like this one and a Shutterfly wall photo of their engagement picture. I’ve been part of all these gifts, either on the giving or receiving end and they were all a huge success. And most importantly, remember that this wedding is not about you. Be flexible. You don’t love the bridesmaid dress? You like your hair better in an up-do and the bride wants it down? Well…too bad. It’s not your wedding and you won’t agree with all of the bride’s decisions. So, just go with it. Be supportive, encouraging and helpful. Just be the true friend that you are, because I’m guessing that’s why the bride asked you to be part of her wedding in the first place. If you really don’t love the bridesmaid dresses your bride is showing you, maybe suggest picking a color and letting the bridesmaids choose their dress. This dress was one of my favorites from my friend Ashley’s wedding. The best part was that she and I got married 3 weeks apart so we were able to plan together. She gave us all a color and let us pick our dresses for ourselves. Mine was on sale from David’s Bridal. 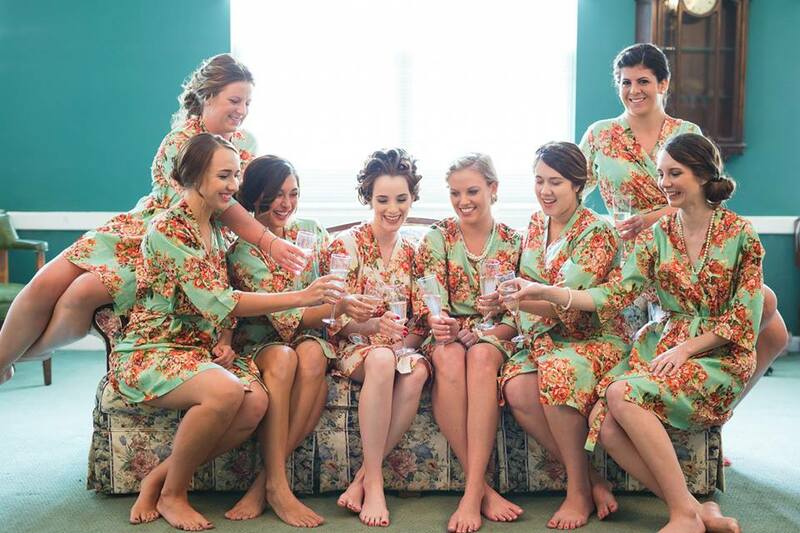 Here’s a great example of mismatched bridesmaid dresses from my friend Megan’s wedding, which I was in last March. I’m just in love with how the different pinks turned out. My dress was from Modcloth (a favorite site of mine). Plus, we got to wear whatever gold or neutral shoes we already had. Photo courtesy of Emma Shrouds Photography. 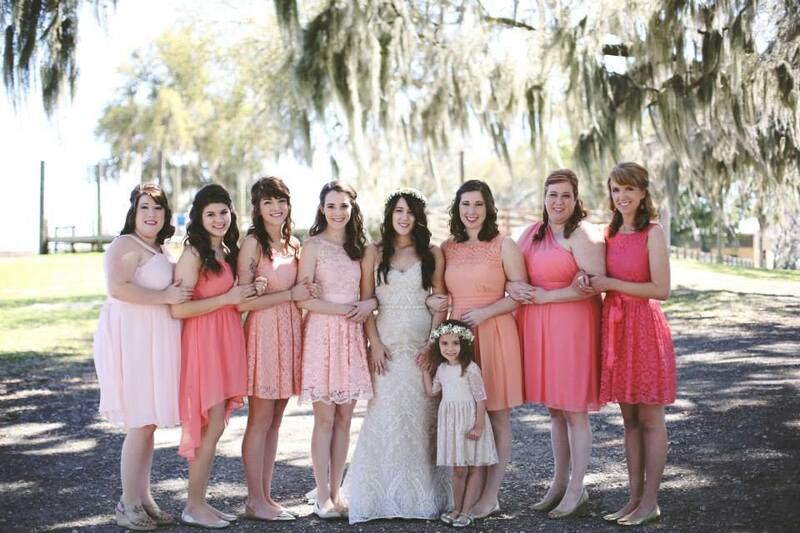 Be sure to get your bridesmaid’s dress early and get all alterations done well before the wedding day. This whole bridesmaid dress thing can become one of the most stressful things for any bride. Wayyy too many times, I’ve seen this become a sore subject with brides and their bridesmaids. Please, for everyone’s sake, just get your dress as soon as you know which one you are supposed to get. And then get it altered ASAP. If your bride hasn’t done this already, ask for a list of things she’d like you to bring on the day of the wedding or make your own list. 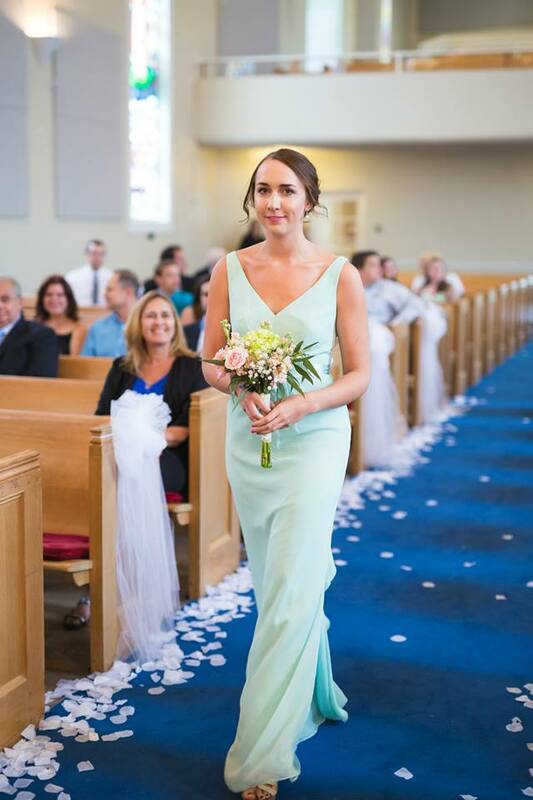 When I’ve been a bridesmaid and when I was the bride, we had an emailed document with all of our wedding day to-do’s, times, things to bring, contact info and other important information. It made it easy on everyone and no one forgot their dress or wedding time! Hey, it happens. Also, be sure to have some sort of emergency bride bag with things like bobby pins, safety pins, extra makeup and bandaids. On the wedding day: Be prepared to be fully present and super positive. Possibly be flexible and available to run last minute errands for the bride, get her food and make sure she drinks enough water. No one wants a hungry and dehydrated bride. Definitely be early for any appointments and don’t forget your dress. I don’t know how my bridesmaids did it, but they had coffee ready for me (by the way, Starbucks gives you a free coffee for the bride), peppy attitudes and seemed to be prepared for every possible “emergency.” As a bridesmaid and bride, I think the best thing you can do for a bride is to just be as helpful as possible on the day of the wedding and make sure the bride enjoys her day. I know I sure did! This is seriously one of my favorite photos of my bridesmaids. As you can see, it was a pretty happy day for us all. And I would say a huge reason for that was because of all the lovely people Matt and I had supporting us on our big day. I’m eternally grateful. So to summarize, just watch 27 Dresses. Hehe. 😉 I mean, isn’t that how everyone learns how to be a good bridesmaid!? But seriously, be prepared to get butterflies when one of your best friends promises to spend their life with the love of their life. It’s a beautiful thing and I know they’ll be grateful you were part of it. Coming soon, I’ll have a post about how to be an organized bride and help your wedding run more smoothly (everyone wants that, right!? ).